I am listening to the book, The Sun Does Shine, by Anthony Ray Hinton, who spent 28 years on death row for crimes he did not commit. He was finally released after the Supreme Court overturned his conviction. His devotion to his mother and hers to him is a powerful part of the book and so different from another good book I read, Educated, by Tara Westover, who had absolutely awful parents. In honor of Mother’s Day and Father’s Day, here are some books to read about good and bad parents. Do you have some suggestions for the list? I have always been an anglo/celticphile and can’t wait to visit once I retire. I want to visit places I’ve read about in books by Jane Austen, Patrick O’Brian, and more. Meanwhile I read a lot of British/Irish/Scottish mysteries for relaxation. Here’s a map of the places that many of the mysteries take place. If you would like to “visit” through books, try some of these authors. My favorites include McKinty, Griffiths, Winspear, McDermid, and Atkinson. Which favorites are yours? The FBI has been in the news for a variety of reasons lately. There seems to be some confusion about what they do. Most people know that the FBI is the domestic side of the federal investigations as opposed to the CIA which is involved in international investigations. In reality there is a lot of overlap. On the FBI website they say that they investigate terrorism, counterintelligence, cybercrime, public corruption, civil rights, organized crime, white-collar crime, violent crime and weapons of mass destruction. When I was in upper elementary school and throughout my teen years, I was fascinated by stories of the FBI. The books seemed to deal with exciting cases such as kidnapping (think of the Lindbergh case), organized crime (the gangsters of Chicago and New York), and spies. There were television shows such as The F.B.I. with Efrem Zimbalist, Jr. that showed the wonderful job the FBI did protecting us. This was all before I learned about what J. Edgar Hoover was really doing. I was reminded of the role the FBI has played in my reading when I began listening to Anne Hillerman’s The Spiderwoman’s Daughter. The FBI is comes on to the Navajo reservation because a former Navajo policeman is shot. Turns out that the FBI covers major crimes on Native American reservations. If you would like to read more about the FBI, try some of these books – both fiction and nonfiction. Catherine Coulter has a series of thrillers that feature FBI agents, most importantly Dillon Savich and Lacey Sherlock, husband and wife FBI agents and computer specialists, mostly based in San Francisco, California. Coulter started as a romance writer so expect some romantic suspense in her thrillers. First in the series is The Cove. Allison Brennan’s Lucy Kincaid investigates murder, corruption, and cybercrime. First in the series is Love Me to Death. David Baldacci’s Alex Decker starts out as a former policeman turned private investigator in the first book Memory Man, but by the second book he is working with the FBI as a special agent. Irene Hannon has a series called Heroes of Quantico that feature different FBI agents dealing with issues such as abduction and terrorism. The first book is Against All Odds. We have learned about profiling on many television shows. Alan Jacobson introduces FBI profiler Karen Vail in the book The 7th Victim. Lisa Gardner has the team of FBI agents Pierce Quincy and Rainie Conner solve cases involving sadists, serial killers and other horrible people. The Perfect Husband is the first book that features Quincy. Rainie shows up in The Third Victim. Spencer Kope’s book, Collecting the Dead, features an FBI man who is part of a Speical Tracking Unit. Alston Purvis has written the book, The Vendetta : FBI hero Melvin Purvis’s war against crime, and J. Edgar Hoover’s war against him. Purvis led the manhunts that tracked outlaws Baby Face Nelson and Pretty Boy Floyd, and most famously John Dillinger, which ended in Chicago on July 22, 1934. Hoover supposedly tried to change the history of these events because of his jealousy of Purvis. In her memoir, No Backup: My Life as a Female FBI Special Agent, Rosemary Dew talks about what it was like from her initial training through her several year at the Bureau. Dew, who earned the title of Special Agent of the FBI, was recipient of eight commendations from FBI directors, and was the seventh woman to be named supervisor at FBI headquarters, has opened up the files on the agency and reveals a broken organization rife with discriminatory practices. Dew worked undercover against criminals, spies, and terrorists. Enemies : a history of the FBI by Tim Weiner gives us the story of the FBI from its beginnings through the war on terrorism. Inside the mind of BTK : the true story behind the thirty-year hunt for the notorious Wichita serial killer is written by former FBI profiler John Douglas (and Johnny Dodd) and follows the long search for a particularly evasive serial killer. Cold zero : inside the FBI Hostage Rescue Team is by Christopher Whitcomb. a member of the F.B.I.’s elite Hostage Rescue Team–its most highly trained and specialized squadron that handles large-scale emergencies in the U.S. He reveals his experiences, describing in breathtaking detail the brutal training, the weapons and tactics, and the dramatic showdowns that marked many of his missions, including Ruby Ridge and Waco. Killers of the Flower Moon: The Osage Murders and the Birth of the FBI by David Grann tells the story of the Osage Indians who became rich as a result of oil on their land. Then someone began to kill the Osage tribe members. As the death toll surpassed more than twenty-four Osage, the newly created F.B.I. took up the case, in what became one of the organization’s first major homicide investigations. But the bureau was then notoriously corrupt and initially bungled the case. Eventually the young director, J. Edgar Hoover, turned to a former Texas Ranger named Tom White to try to unravel the mystery. I take a vacation in early October before gearing up for an intense 5 months of work planning the adult programming for the year. The Town-wide Read project, in particular, takes many hours over many weeks to put together. This year I had decided which book by last March. Hidden Figures was a wonderful movie and the book was equally interesting. With all the focus on Black Lives Matter and the Women’ Marches, the book seemed to be a timely look at where we’ve come from and how far we need to go. I met with a small committee to plan the events to go with the themes of science and technology and supporting interest in these areas by everyone. This has involved many, many emails back and forth to pull together as well as a lot of publicity. The Blind Date With A Book display takes much more time than the usual monthly displays. The purpose of our displays is to highlight books that are good, but may not have become bestsellers. Usually the displays are based on a theme that is chosen somewhat on a whim. The Blind Date books, however, are all books that some reader has rated as A on our blue rating sheets in each fiction book. I then check in Goodreads to see if the book was also well-rated there. Then I need to create a teaser blurb to put on the outside of each wrapped book that will attract the attention of a new reader. Planning with Dr. Hylander can be tricky for two reasons: he’s not easy to get in touch with and his schedule is often tight. Once we do catch up with each other, it is easy to plan what he will talk about because he can talk about anything! His spring program will be a 3-part series on America 1968 and is scheduled for Thursdays, May 3, 17 and 31. While I had him on the phone and we were brainstorming, we scheduled the fall program on Freedom of the Press and the Courts which will be Thursdays, Oct 4, 18, and Nov. 1. Sometimes presenters reach out to us, such as Ted Reinstein who did such a wonderful presentation on General Stores. Sometimes we have a returning presenter that is paid for with Cultural Council monies such as Greg Maichack who does our pastel workshops. 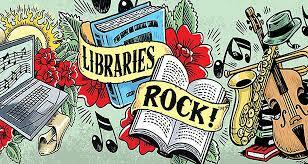 And sometimes we get recommendations from other librarians around the state. This summer we will have Arron Krerowicz do a program called Stairway to Zeppelin: The Roots of Led Zeppelin. Krerowicz has been praised by everyone who has had him do a presentation. I hope you have been enjoying the programs we plan and that you keep coming. Mary Higgins Clark Turned 90 in December! 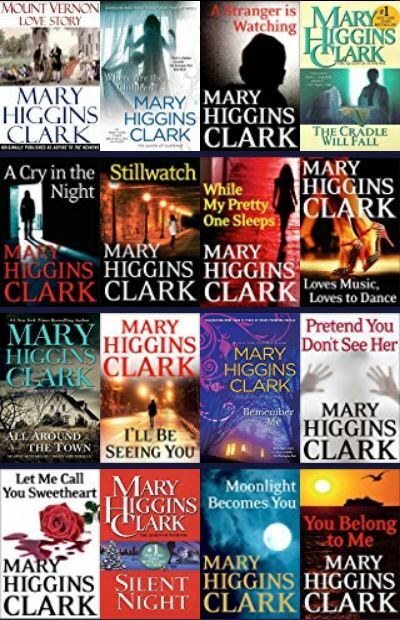 Mary Higgins Clark is a role model for any aspiring author. She started as a copy editor before she was married, then sold her short stories to add to the family’s income while raising five children. She started a writing workshop in NYC with other writers to improve each other’s work. When her young husband died in 1964 after 15 years of marriage, she supported her family by writing radio scripts. 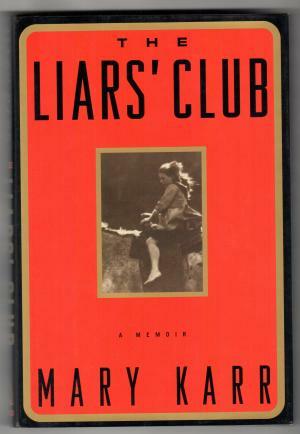 After one failed novel, she switched to suspense fiction with Where Are The Children? Since then she has written more than 50 books, including her memoir Kitchen Privileges. Here’s an interview with her when she was 89. If you like Clark’s brand of suspense, you might like Lisa Gardner, Iris Johansen, and Joy Fielding.